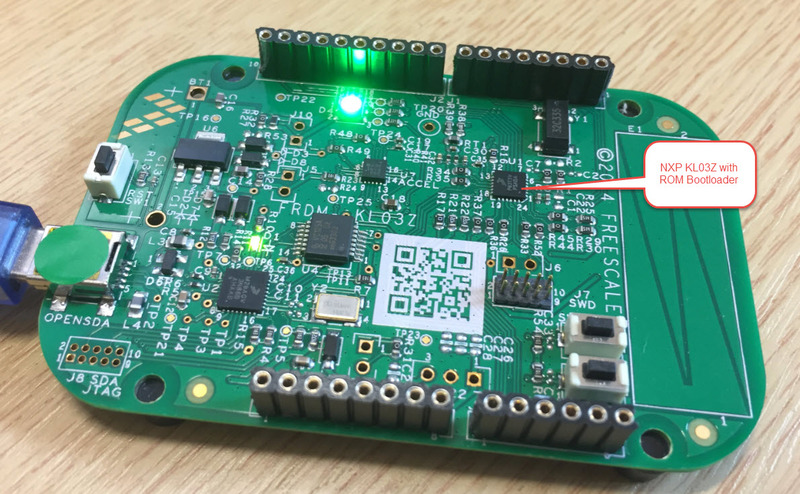 Here's everything you wanted to know about successfully using a ROM Bootloader on your boards, focusing on the NXP FRDM-KL03Z. 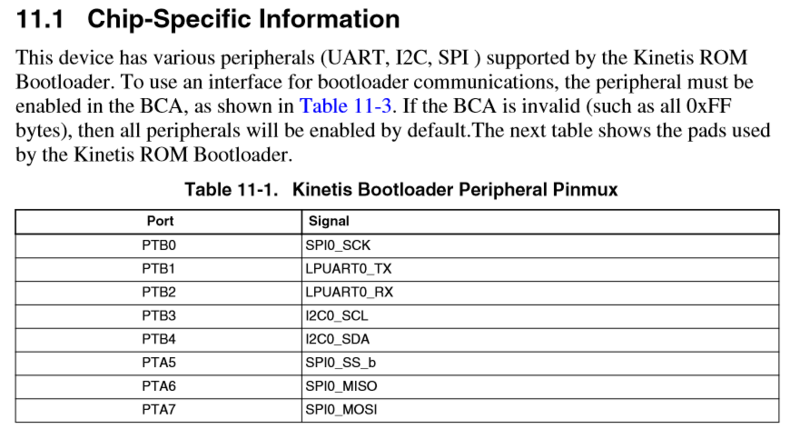 A bootloader on a microcontroller is a very useful thing. It allows me to update the firmware in the field if necessary. 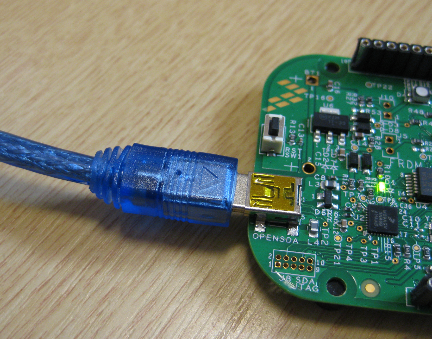 There are many ways to use and make a bootloader (see Serial Bootloader for the Freedom Board with Processor Expert). 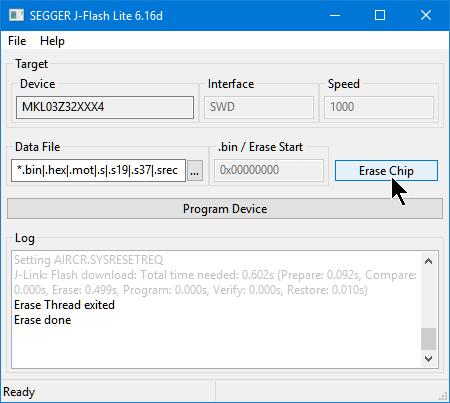 But such a bootloader needs some space in FLASH, plus it needs to be programmed first on a blank device, so a JTAG programmer is needed. 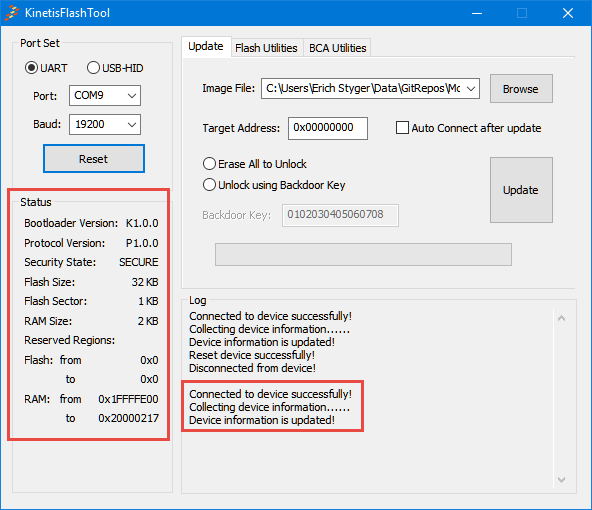 That’s why vendors have started including a ROM bootloader into their devices: the microcontroller comes out of the factory with a bootloader in FLASH. So instead writing my bootloader, I can use the one in the ROM. 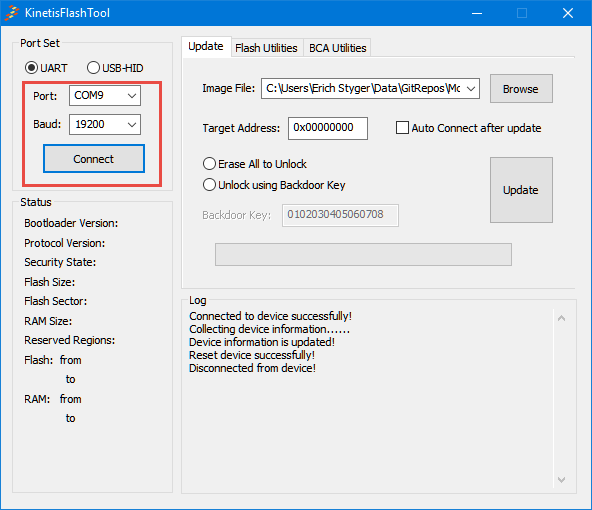 Flash-Resident Bootloader: This bootloader is a ‘traditional’ bootloader that resides in FLASH memory. The source code is provided and I can fully configure it, but I initially needa JTAG programmer to program the device. 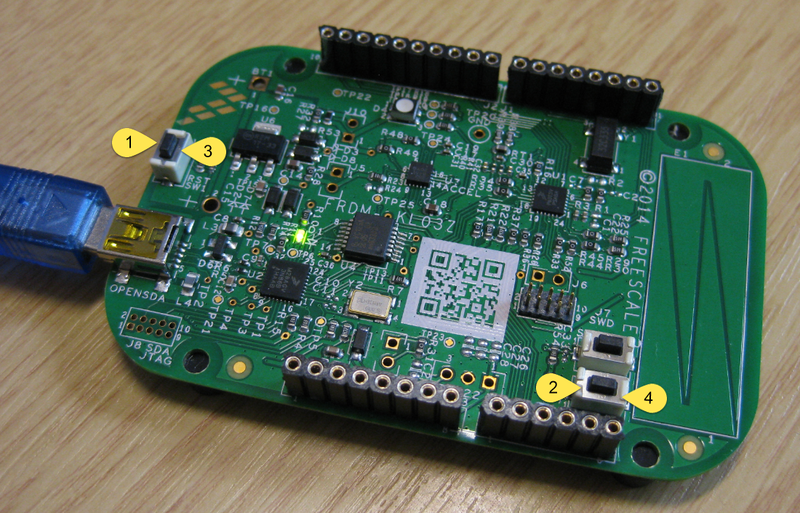 The KBOOT package includes several examples for different boards. 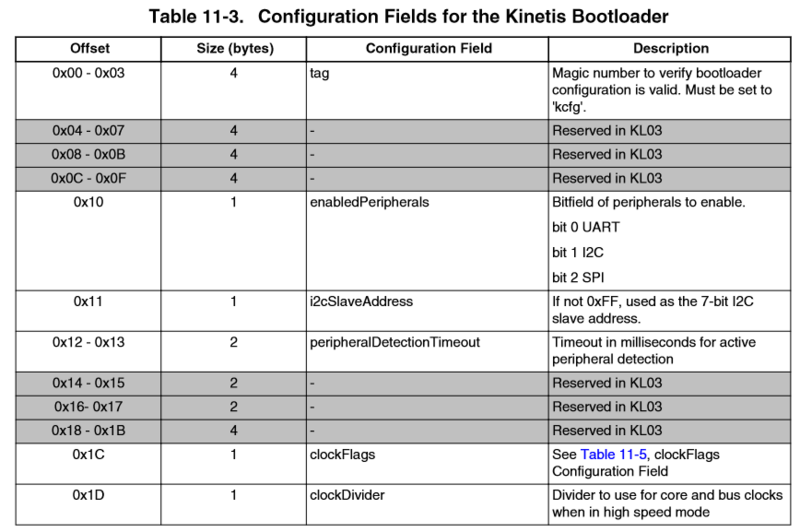 ROM Bootloader: This bootloader is present on all Kinetis devices with a boot ROM, including the KL03Z. 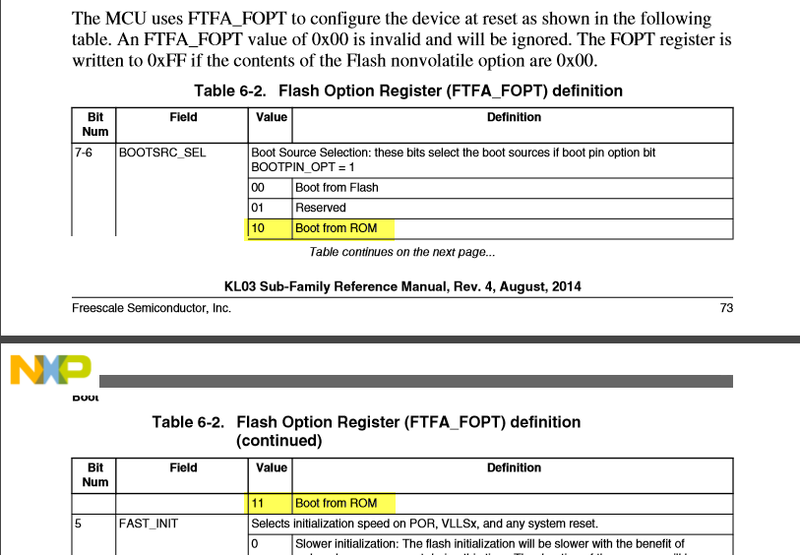 Basically, it is a special version of the Flash-Resident Bootloader programmed into the ROM of the device. But no source files or any other information apart of the information in the reference manual is provided. 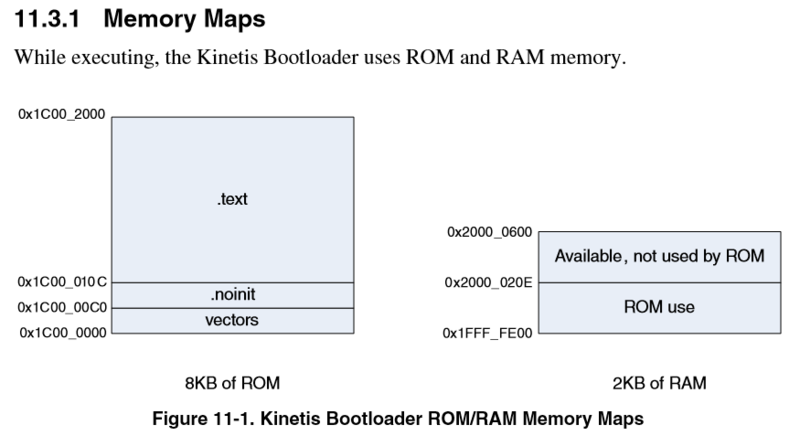 It would be useful to have the sources and memory map of the ROM bootloader available. 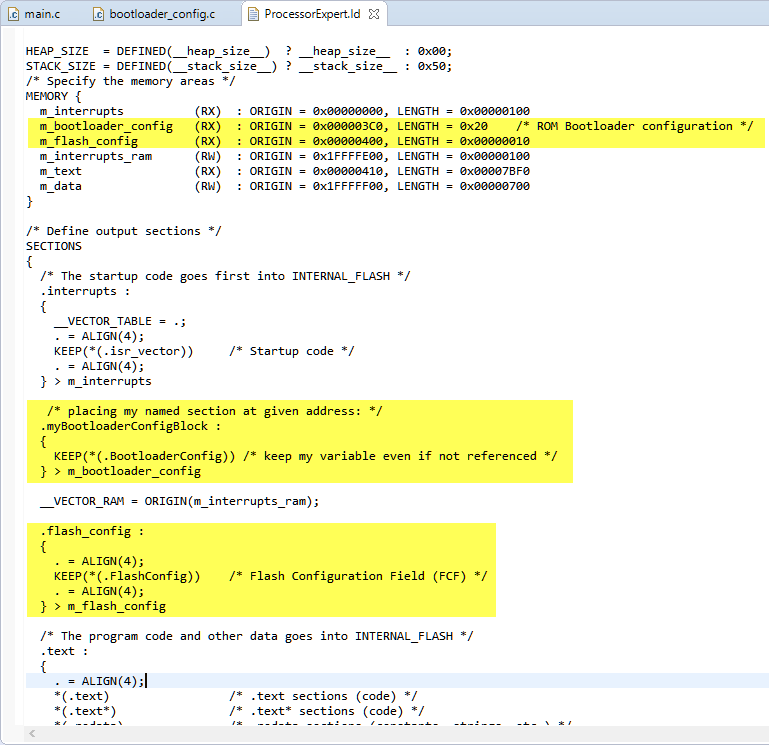 That way, it would be possible to re-use some of the bootloader functions from the application to save FLASH space. 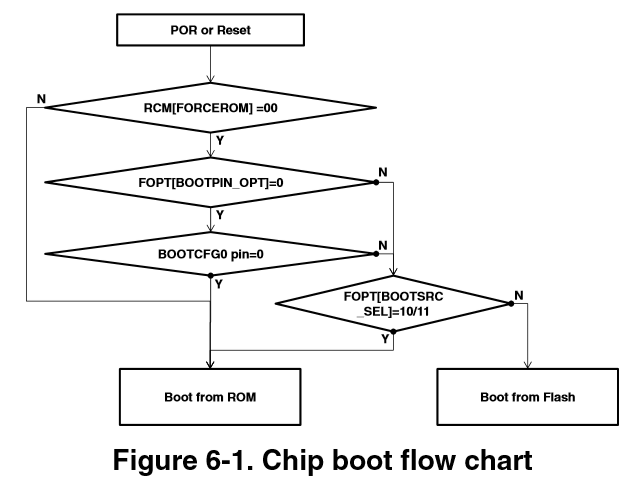 With the above code, the application can enter the bootloader any time. 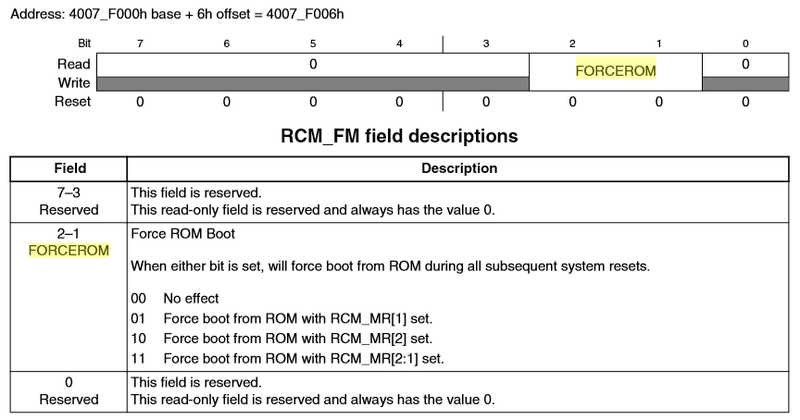 During POR (Power on Reset) or a normal reset, it can be configured if the microcontroller enters the ROM bootloader or directly boots from the normal FLASH. BOOTCFG0 pin: This is the pin enabled by the BOOTPIN_OPT setting (NMI pin for the KL03Z). Note that the bootloader will select the first ‘working’ communication channel! 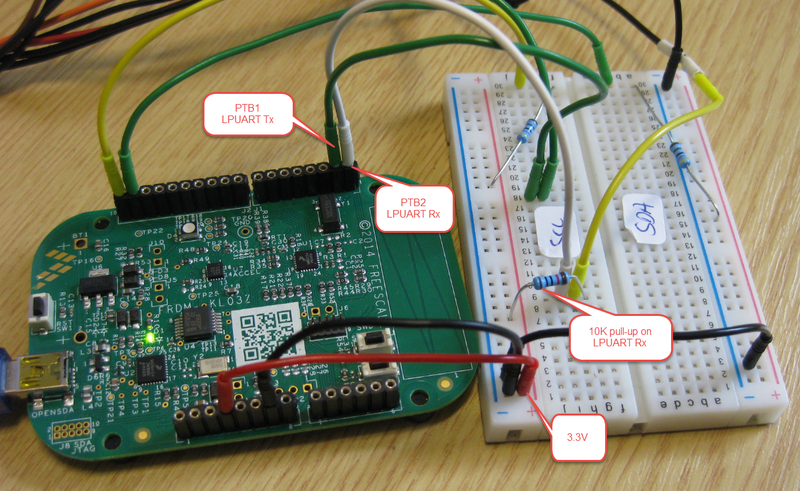 I had an issue that on the I2C bus another device was sending data during bootloader boot-up, causing the bootloader listening to the I2C bus instead to the UART. 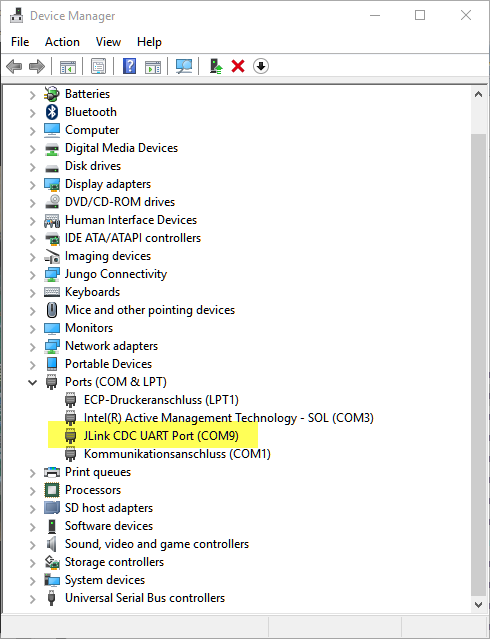 I recommend only to enable the needed communication channels in the BCA settings. 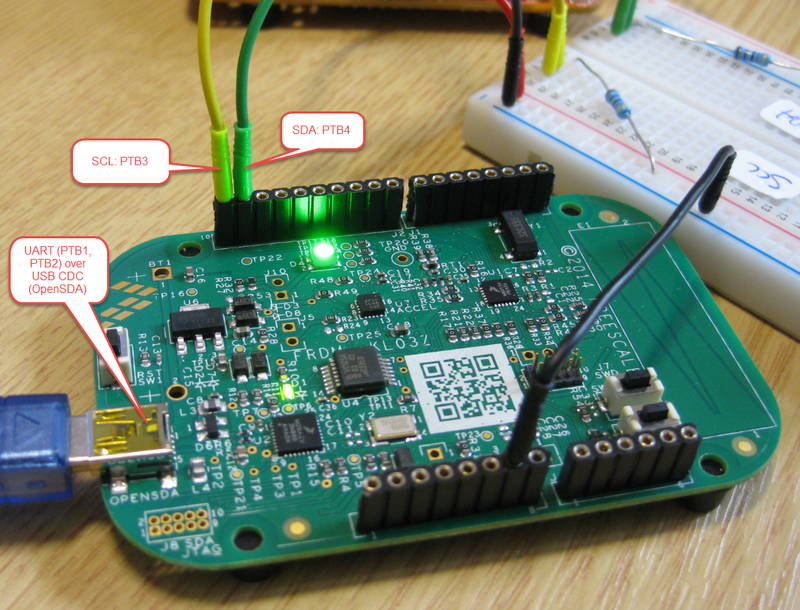 Both the used communication channel (I2C, UART, SPI) and the speed (baud) is selected at the first communication attempt. To change the communication speed or communication channel, the KL03Z has to be reset first! 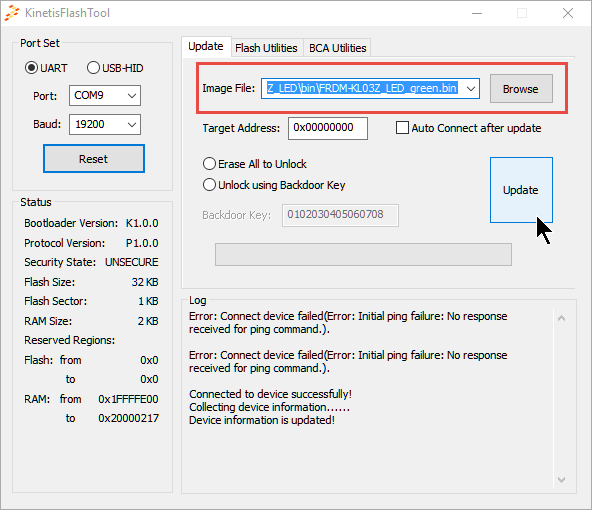 Make sure that the COM port is not already used (close the KinetisFlashTool). What’s next? 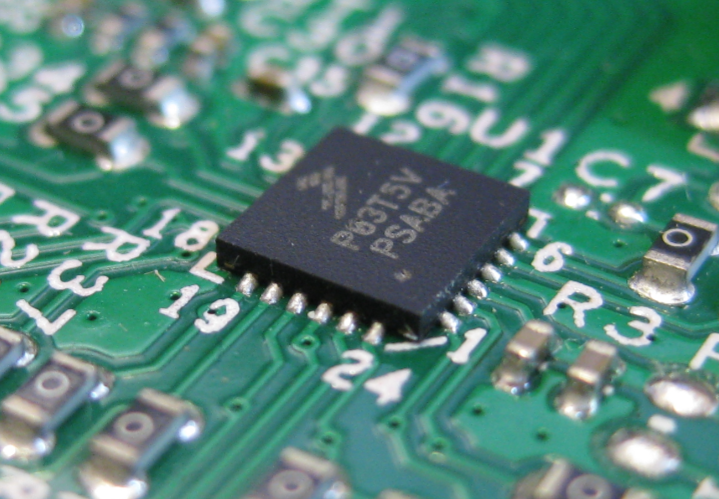 I’m currently exploring and using BusPal: This part is really interesting, as it allows to use a microcontroller to interface with the bootloader of another microcontroller. That way, one device can update another. The NXP provided projects are for IAR and Keil, but I have managed to port BusPal to the FRDM-KL25Z using free and open GNU tools. So this could be the topic of a future article? 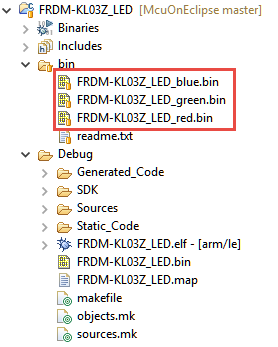 I hope this article is useful for you to get started with the bootloader on the FRDM-KL03Z or any other board. And don’t forget to always check the errata of your device.